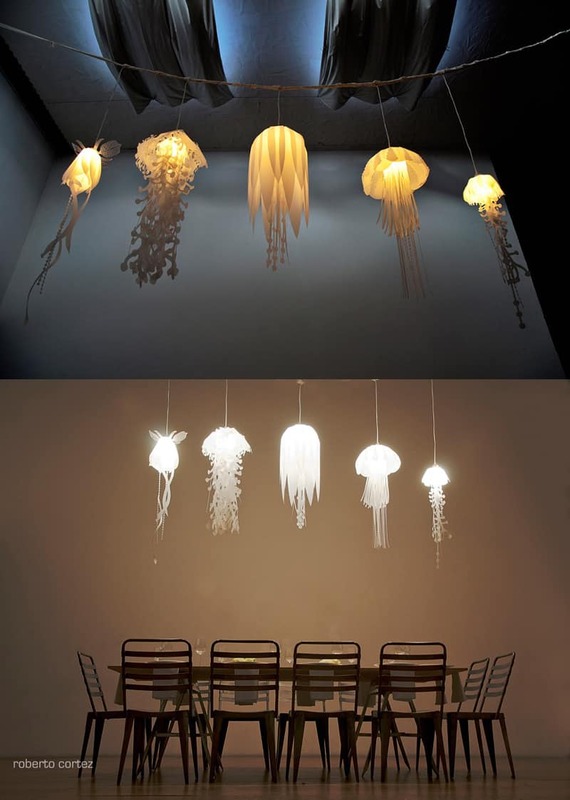 Jellyfish are elegant and have relaxing movements which makes them look like a living piece of art. 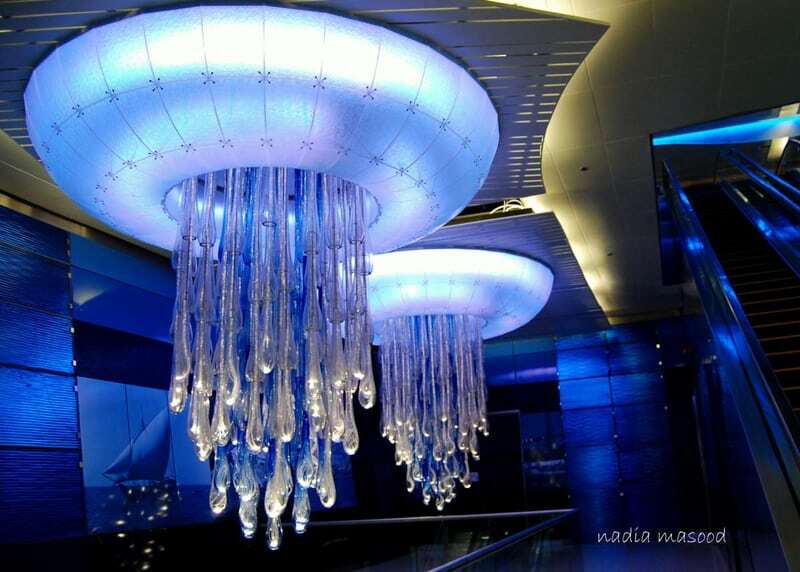 Their popularity has increased over the last couple of years with more clients wanting to own a jellyfish tank. 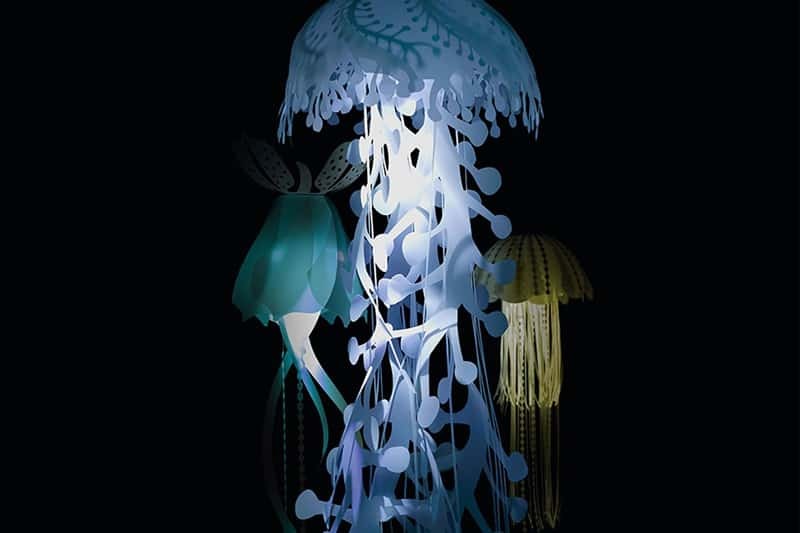 Jellyfish can be kept in an aquarium as long as it has the right setup and the owner knows how to properly look after these mesmerizing creatures. 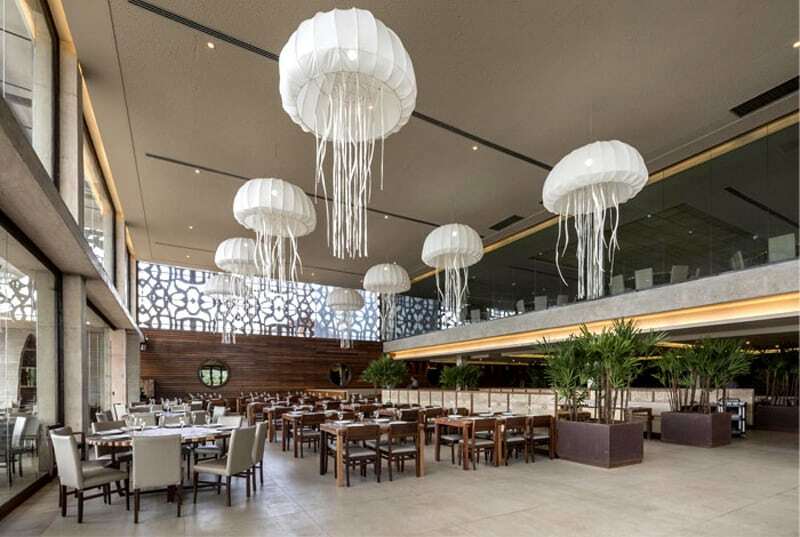 It’s good to know from the start that jellyfish have very specific requirements including aquarium shape, food and water properties. 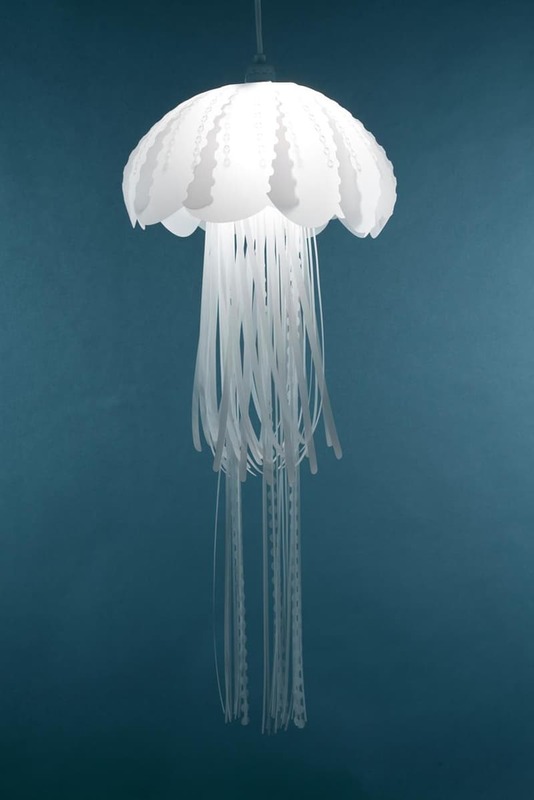 In addition, jellyfish require excellent water quality in order to be healthy. 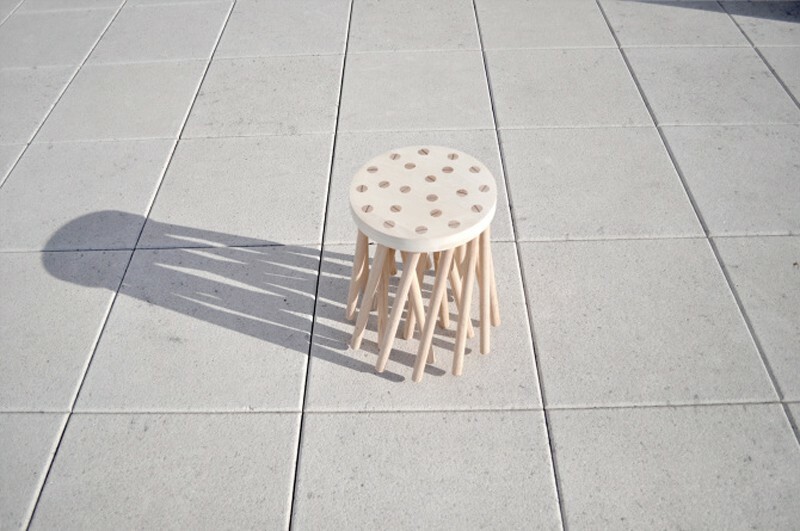 Temperatures vary between 12°C to 21°C. 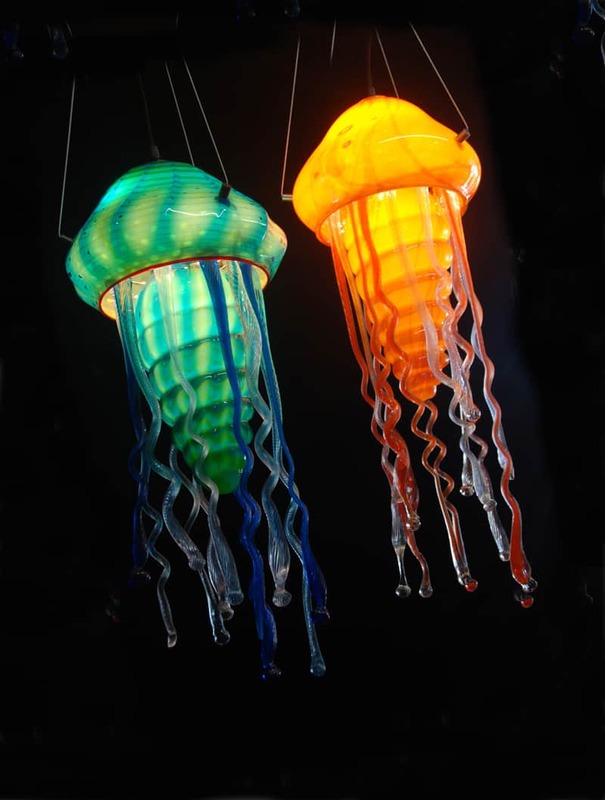 While jellyfish can recover from a lower temperature as long as it is noticed within 48 hours, a higher temperature than the recommended one might kill the jellyfish. 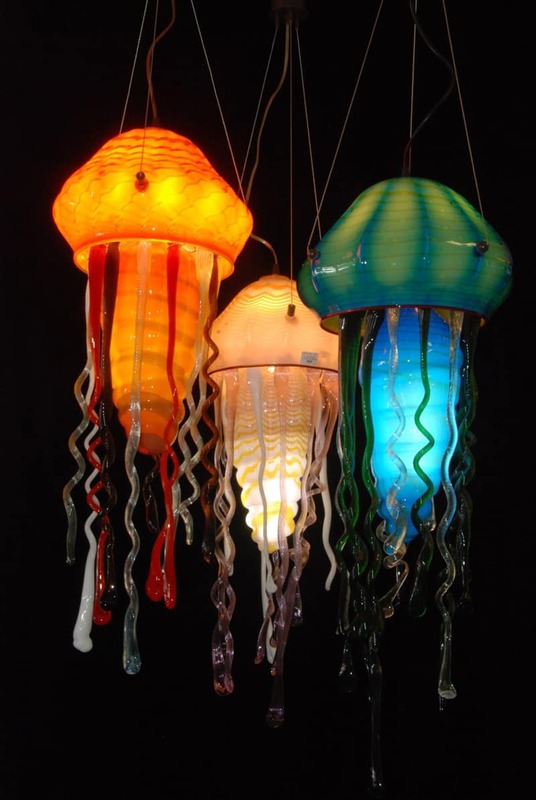 With regards to salinity for most kinds of jellyfish is about 33ppt. 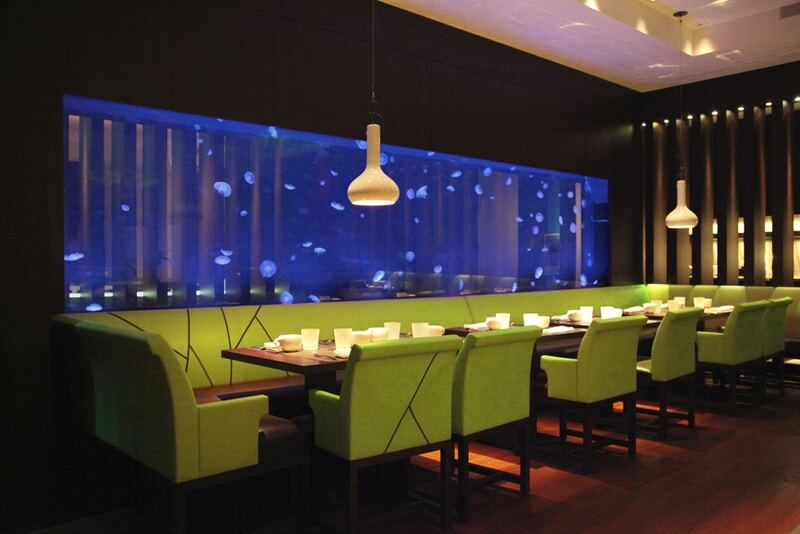 We highly recommend that temperature and salinity is daily checked to make sure that the environment is suitable. 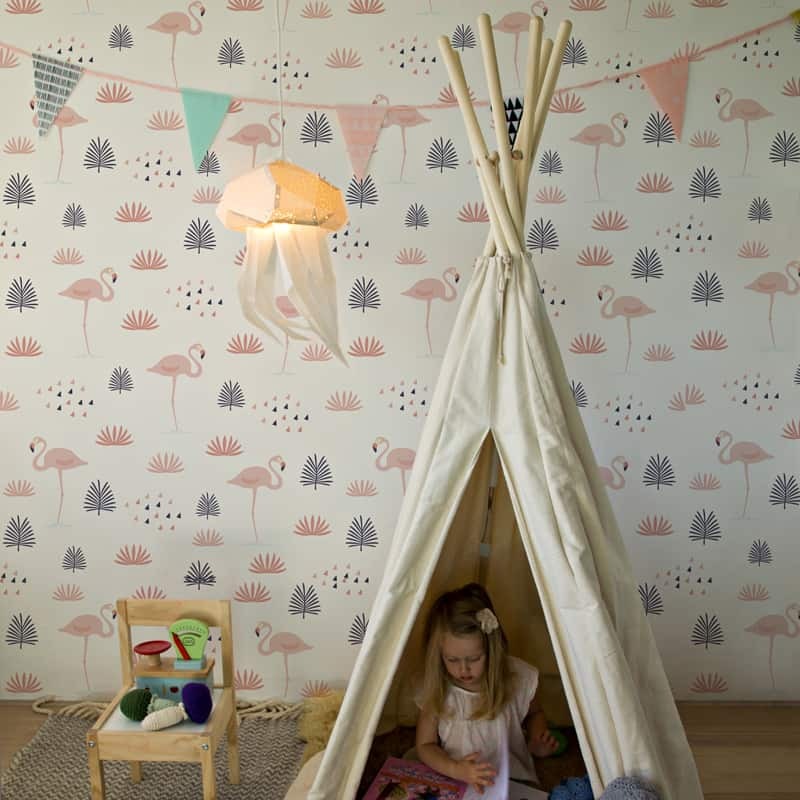 also view: 8 Must Have Summer Pool Accessories and Toys that You Can Buy Right Now! 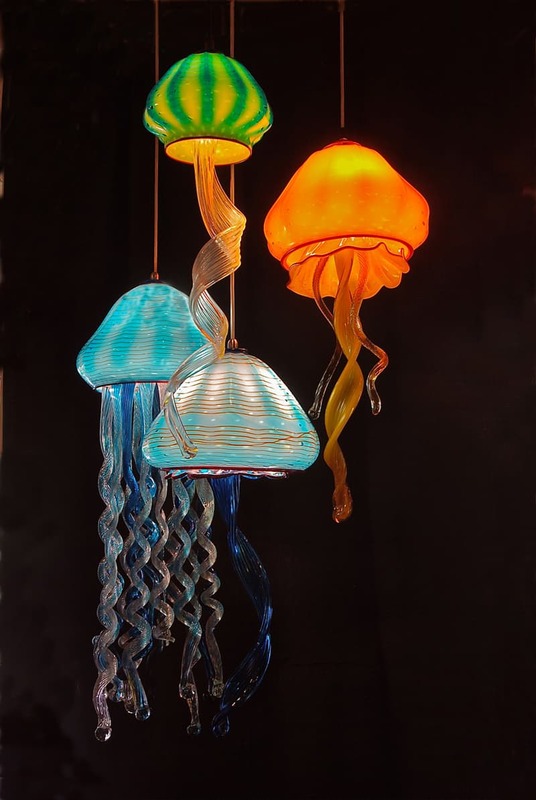 Jellyfish are among the strangest and most fascinating organisms in our ocean and, with specially crafted jellyfish aquariums, it is now possible to keep these curious creatures in your home or workplace. 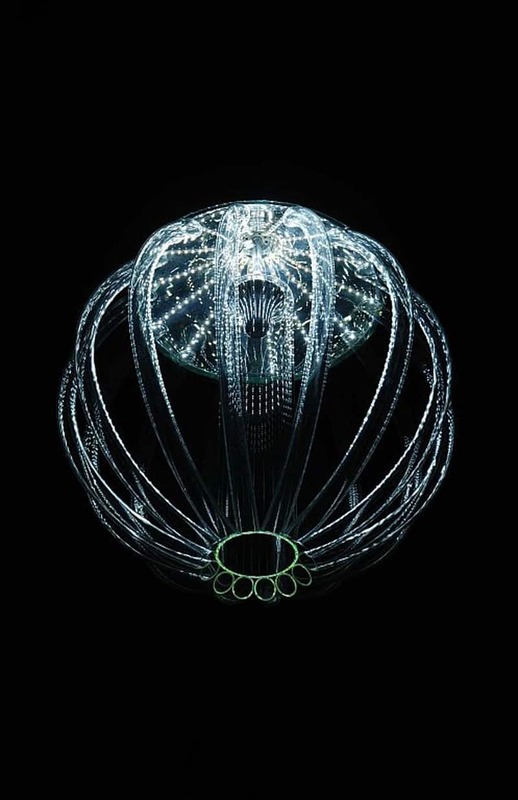 Previously, if you wanted to real live jellyfish as pets you had to either pay substantial sums of money for a custom made aquarium, or risk buying one of the various entry level jellyfish aquariums on the market which are commonly lacking in essential features or true developmental research. 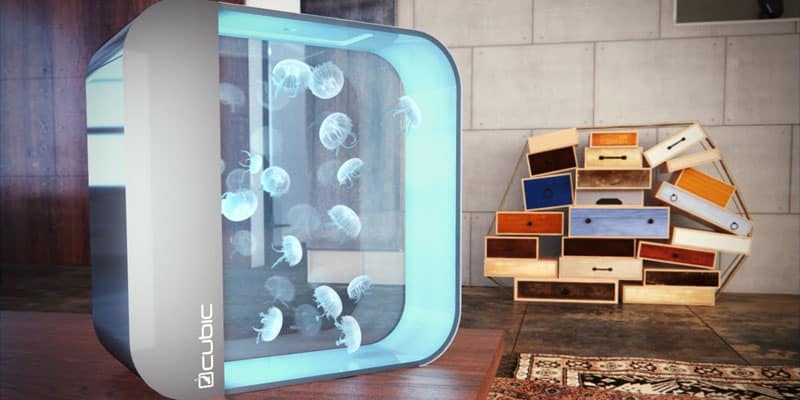 Cubic® jellyfish aquariums have been several years in development and their design has drawn on the expertise from public aquariums. 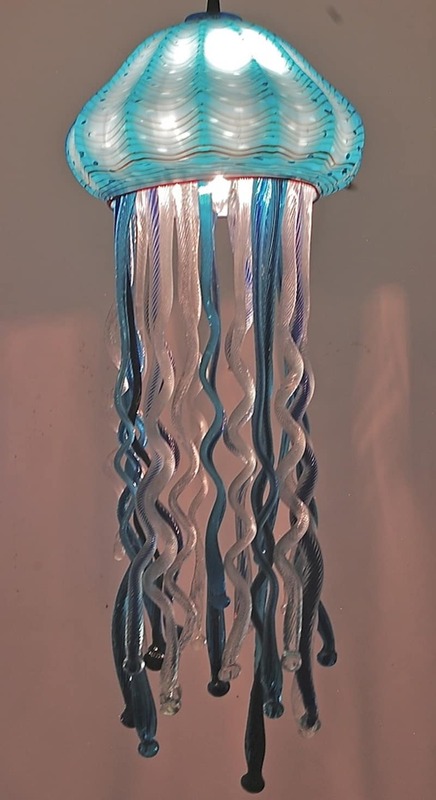 With regards to a jellyfish tank the most important thing is keeping jellyfish away from the outflow and preventing them from getting sucked into a filter. 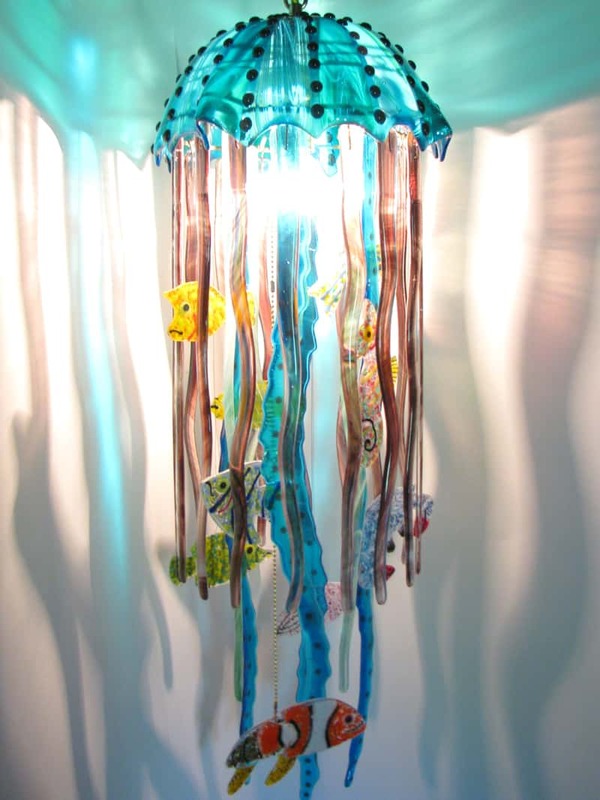 Jellyfish also need precise water flows that will keep them up and off the bottom of the tank. 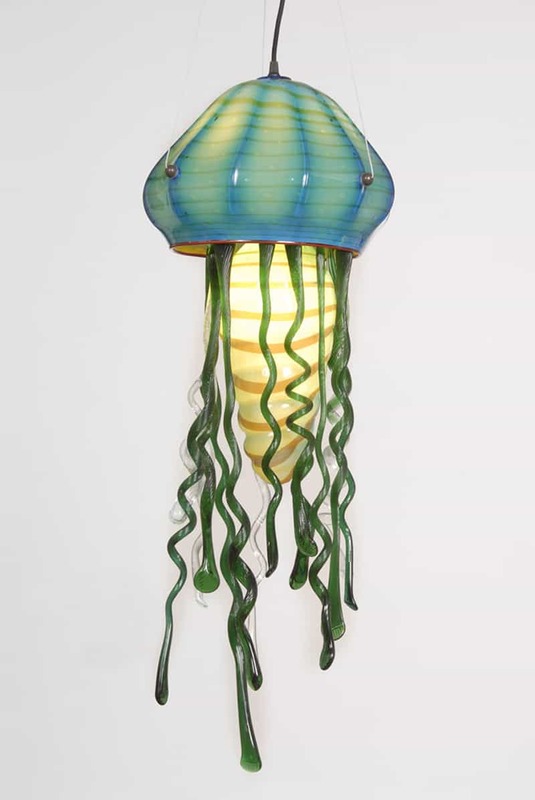 Furthermore, the aquarium needs to be kept minimalist and aquascaping must be avoided as it may injure the jellyfish. 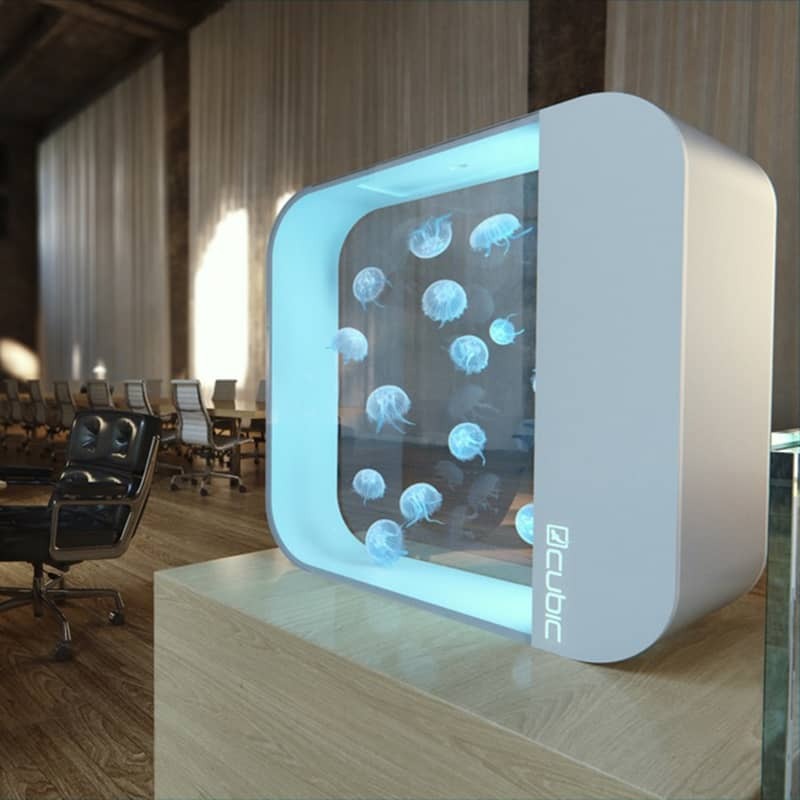 Jelly Tank is a desktop jellyfish aquarium designed for the home, office or commercial space. 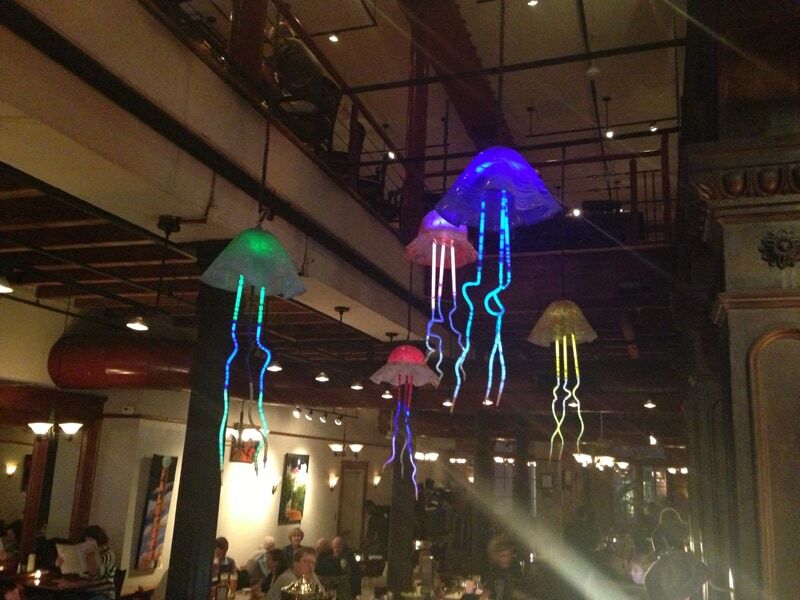 Owning pet jellyfish are now easier than ever with our state of the art tank. 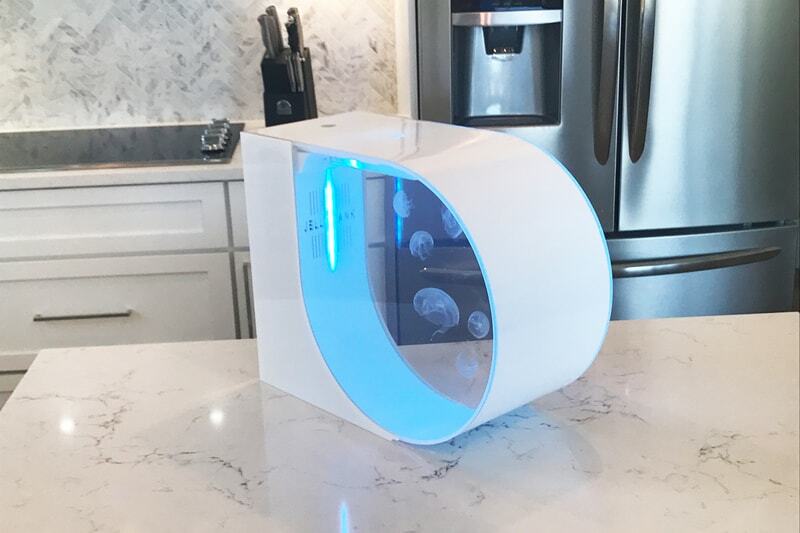 The Jelly Tank is the most affordable aquarium that makes keeping jellyfish simple for anyone. 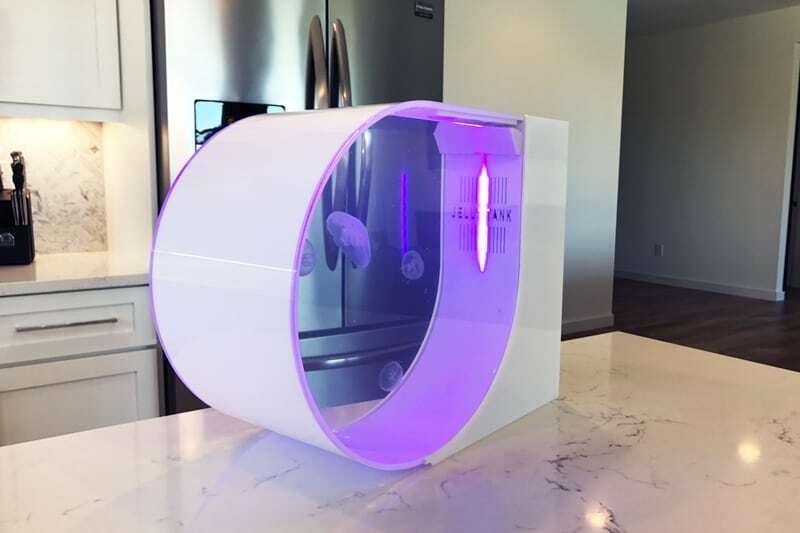 JellyTank is the ultimate jellyfish aquarium, one that solves all the problems that other tanks struggle with. 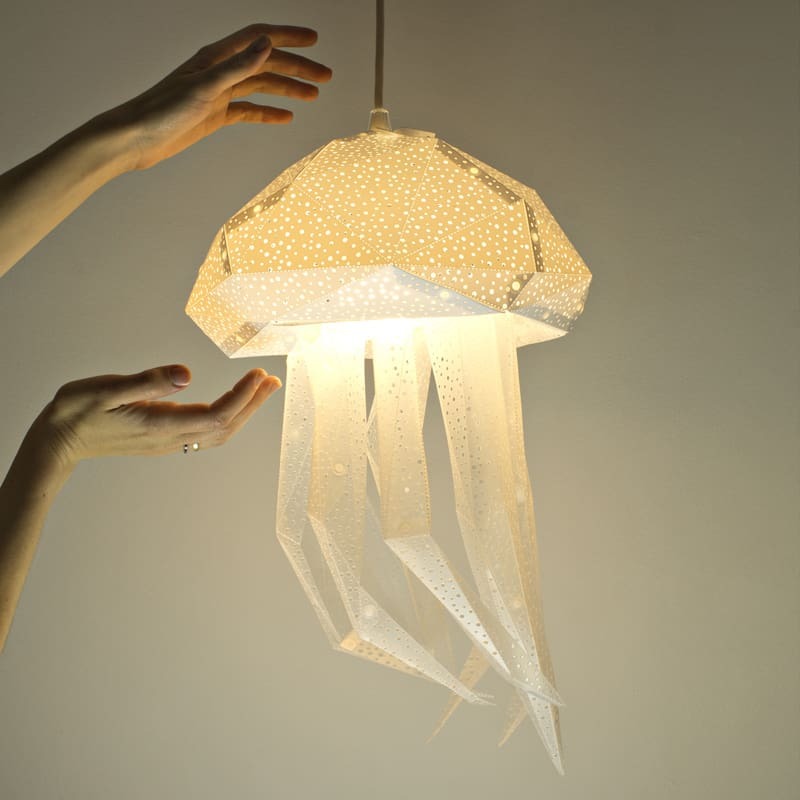 A tank where pet jellyfish could thrive while keeping it affordable and low maintenance for owners. 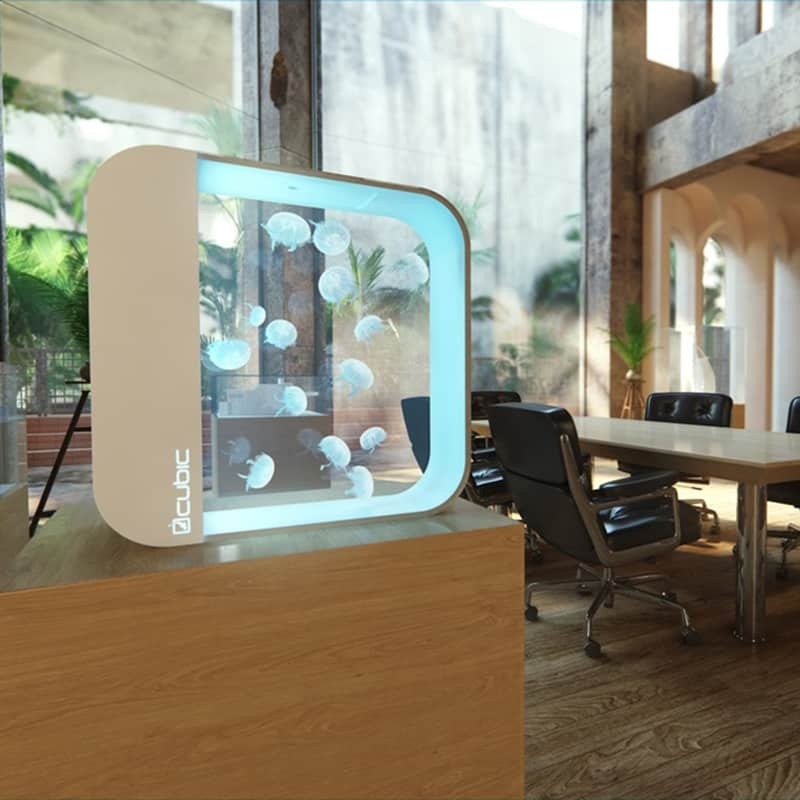 The JellyTank is a compact 5-gallon aquarium with a modern design and color-changing, remote-controlled LED lights. 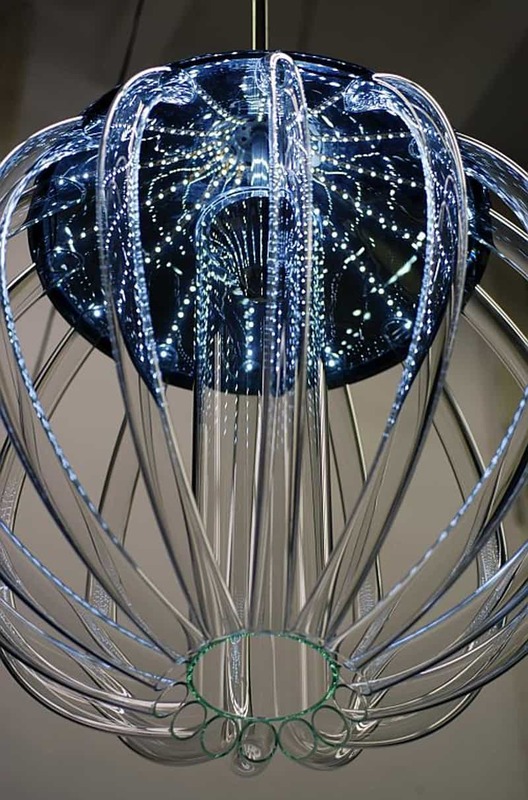 This ‘flow bar design’ with laminar pump-driven water creates an environment similar to what jellyfish would experience in the wild, and there’s a built-in mechanical and biological filtration system. 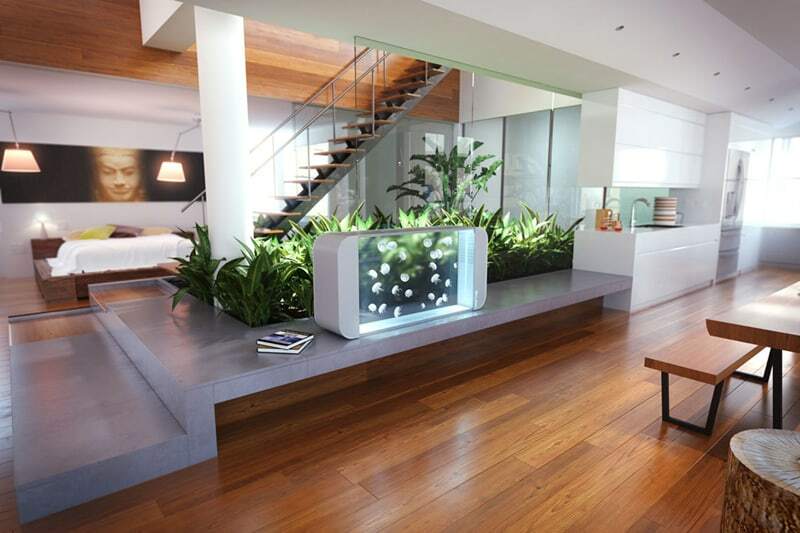 The tank is made of high-grade aquarium acrylic, and its housing is available in black or white. 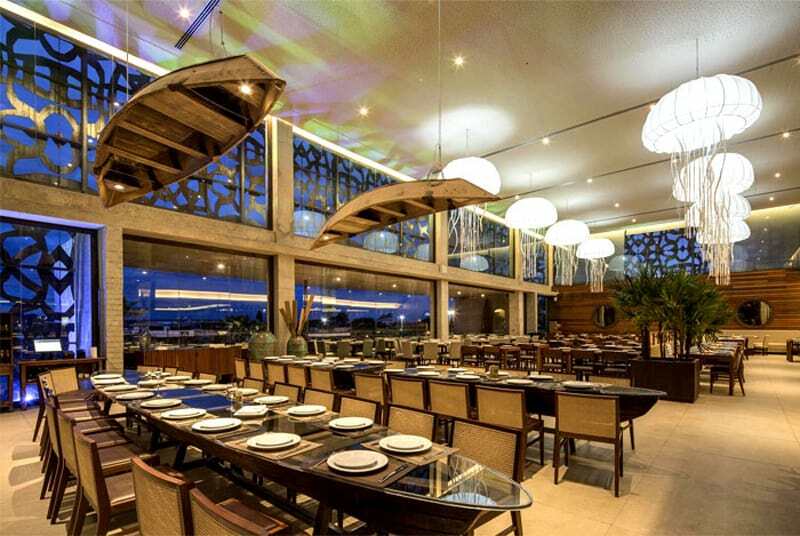 The ambiance combines mediums of dark woods, bold floral silk wall panels, organic materials and clean lines to create a breezy, tropical feel on a palette of vibrant blues and greens. 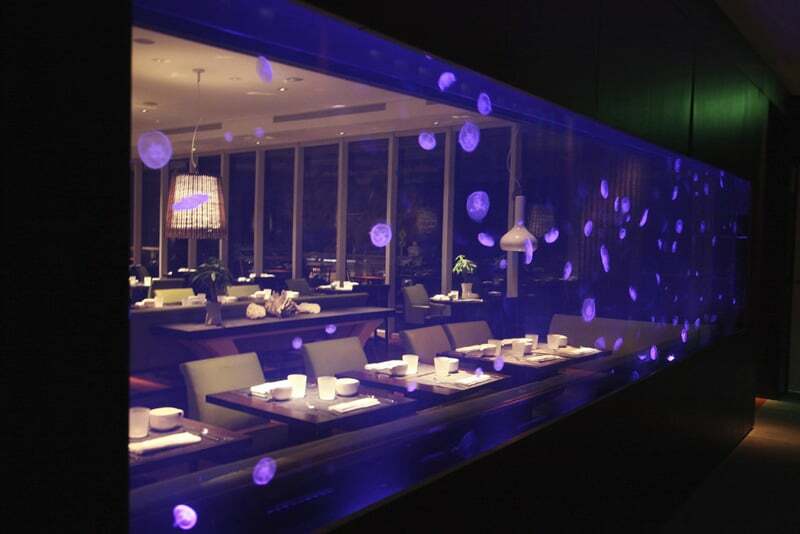 And the centerpiece of the restaurant—a 15-foot long reef aquarium home to mesmerizing jellyfish—is a rare and spectacular sight. 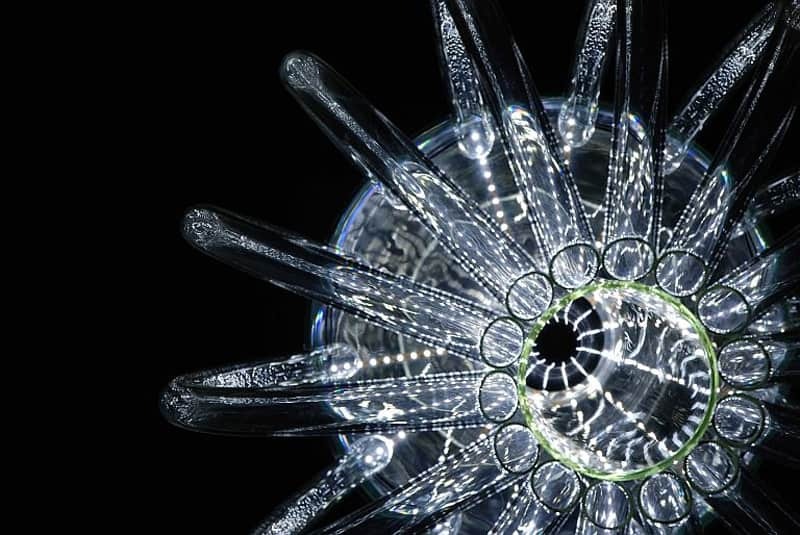 Chandelier is inspired by deep water bioluminiscence living organisms, designed to darker areas, primarily as an orientation light. 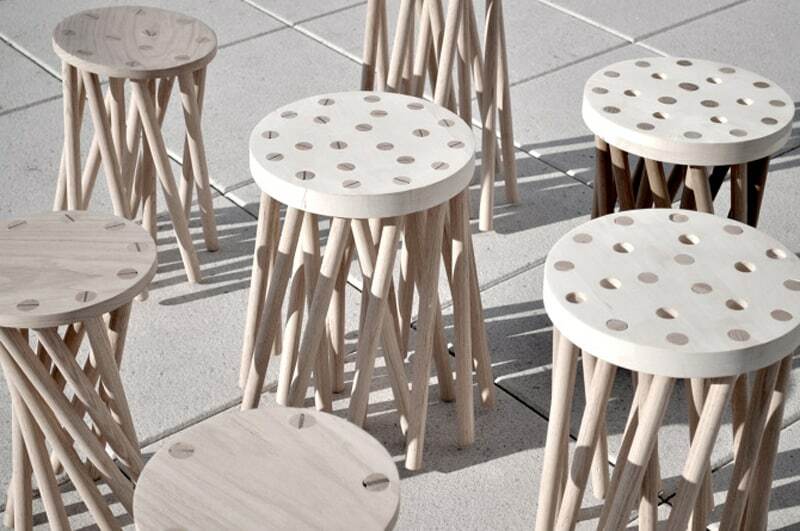 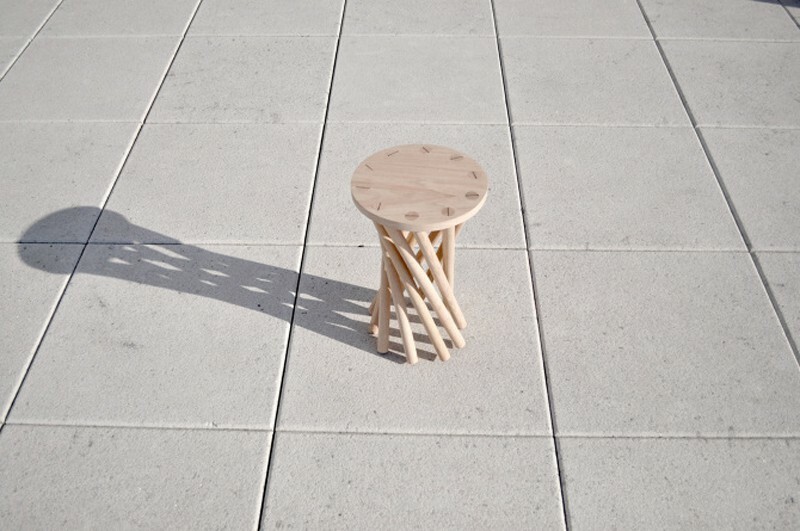 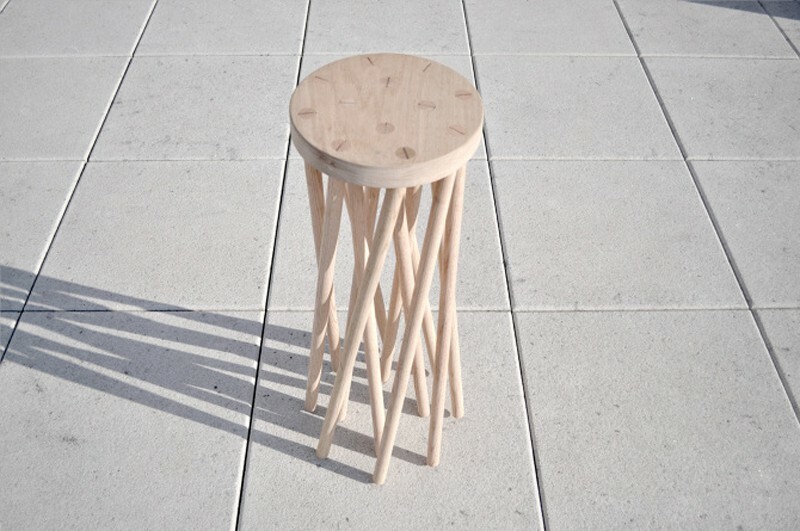 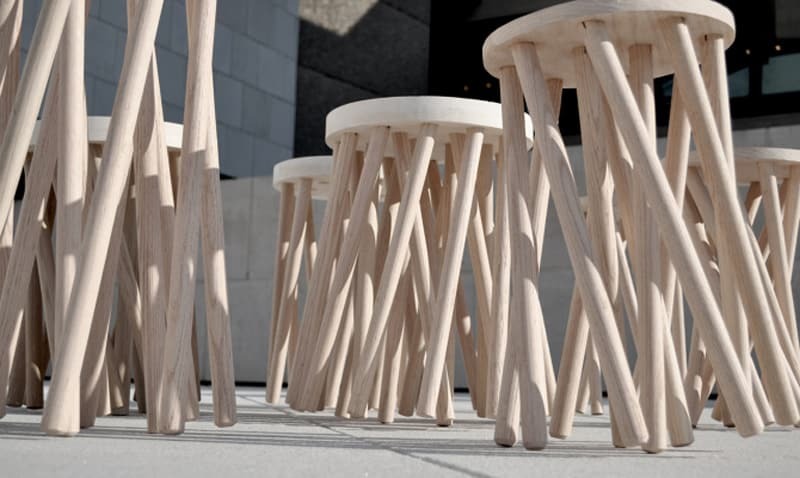 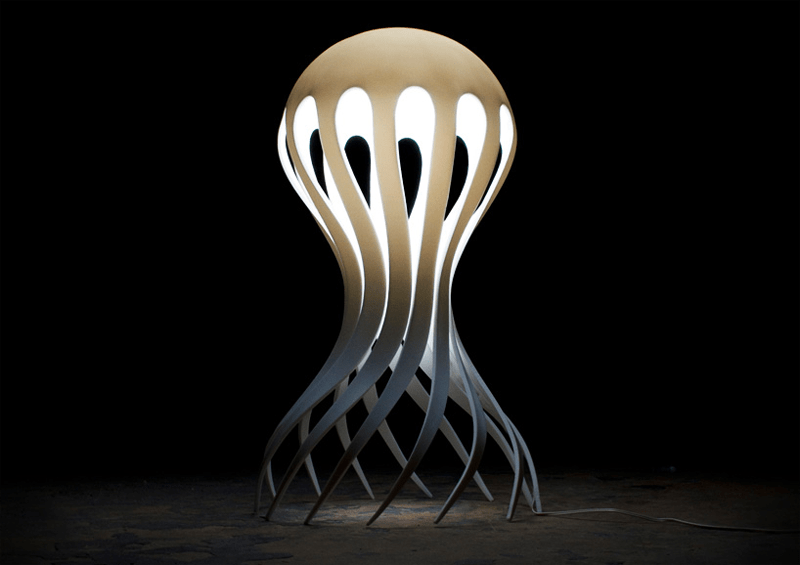 Smolíková received a Czech National Award For Student Design for her project. 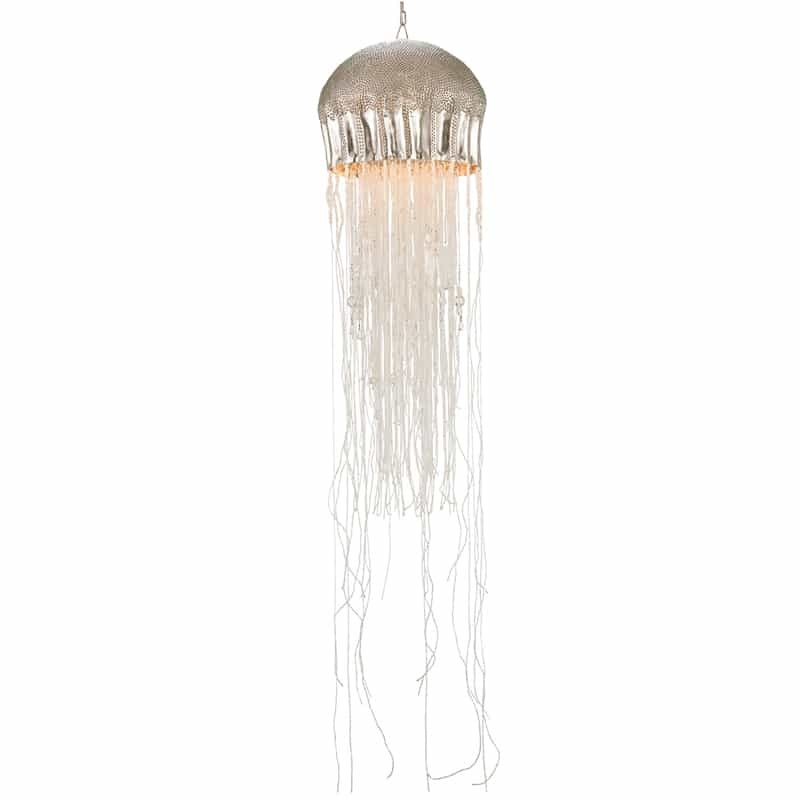 Amazing jellyfish likeness is captured in this stunning pendant light. 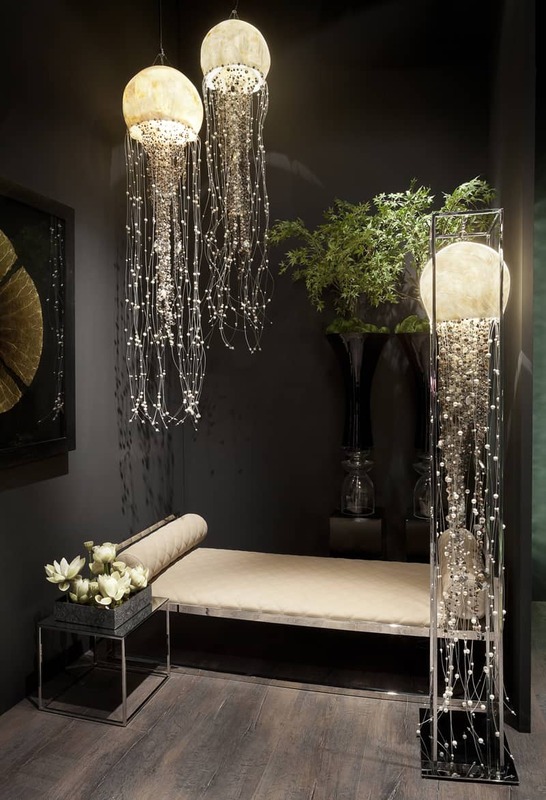 Echoes of the deep sea and the ethereal creatures that call it home are on display in this large-sized hanging chandelier. 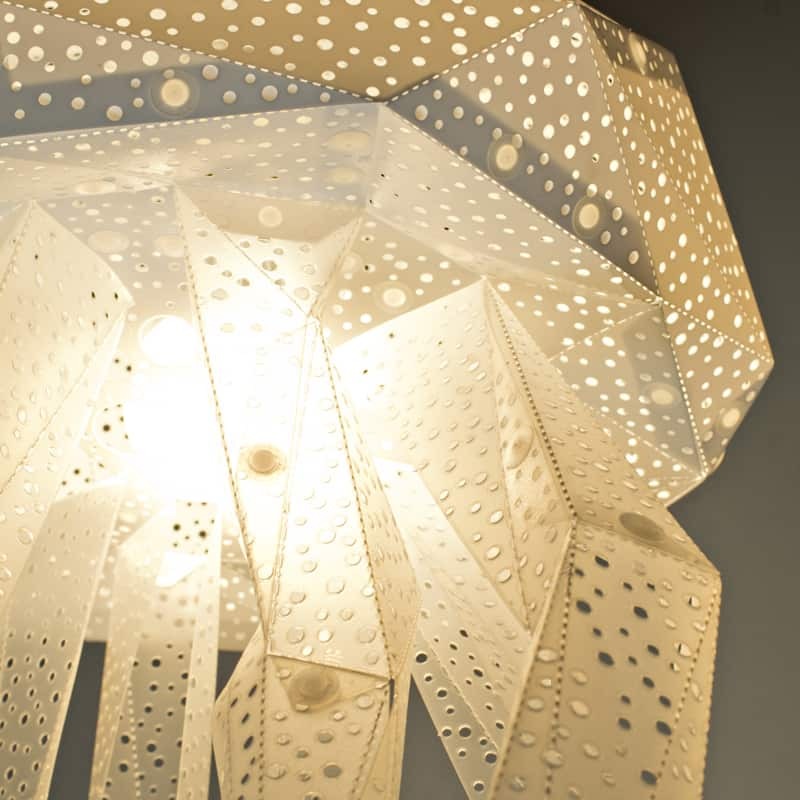 The “body” is made of nickel with brass pin nail embellishments. 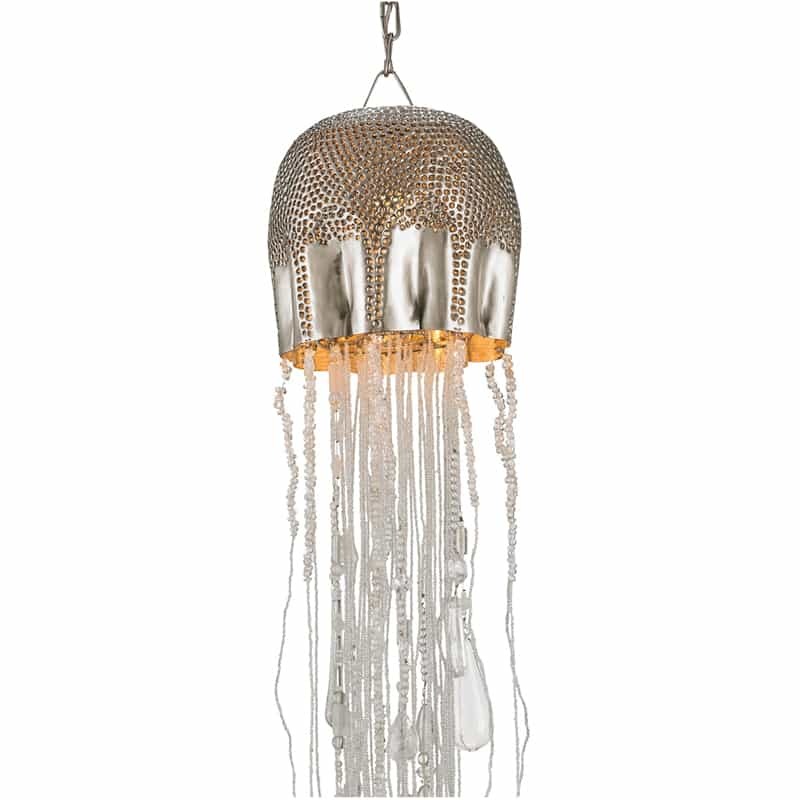 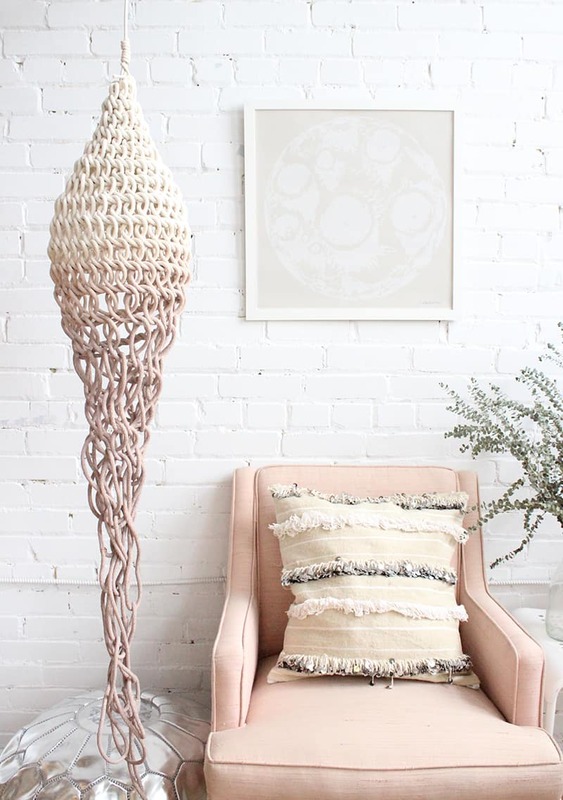 The “tentacles” are a hanging clear glass bead combination to bring modern whimsy and a magical glow to a coastal retreat. 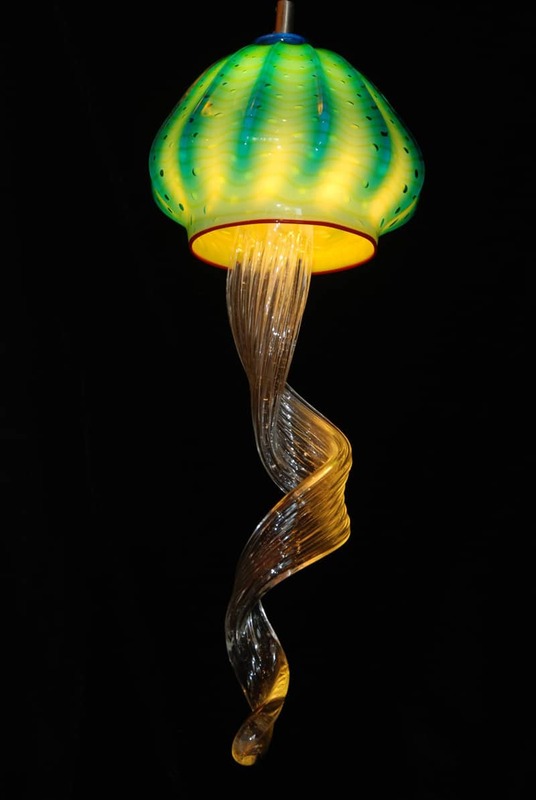 Though you wouldn’t immediately think of jellyfish when you think of lamps, it makes much more sense when you remember that some species of jellyfish can produce light in their bodies, known as bioluminescence. 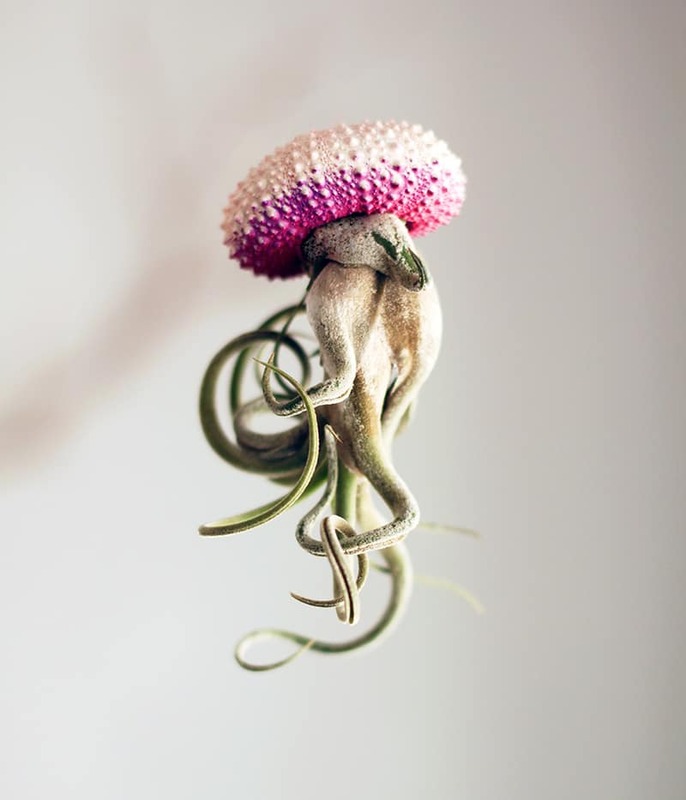 The Medusae Collection by Californian designer Roxy Russell highlights this fact with its gorgeous creations. 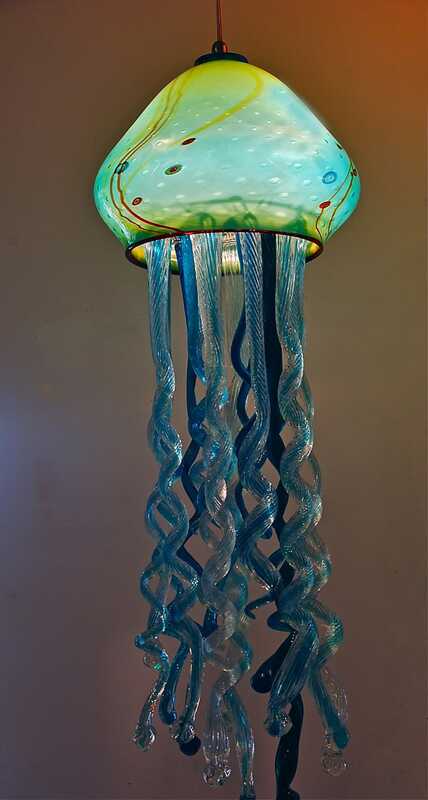 “Jellyfish are perhaps the best example of environmental adaptation in the ocean. 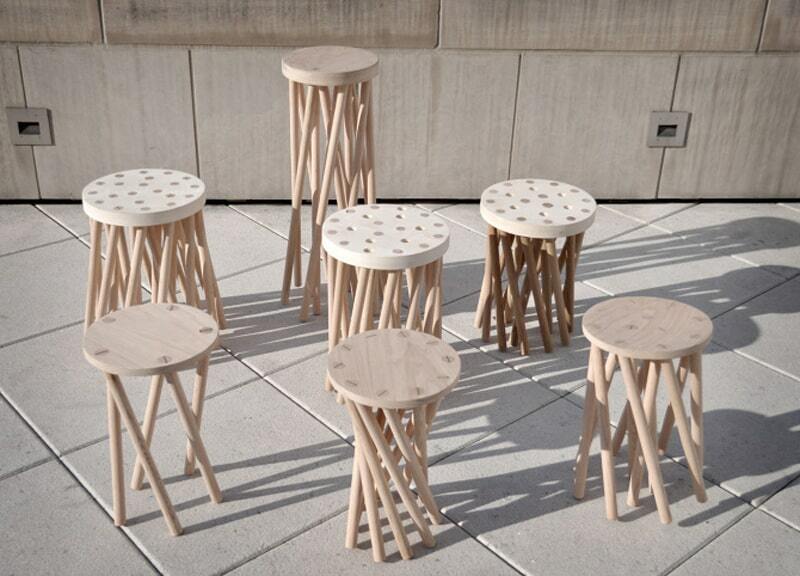 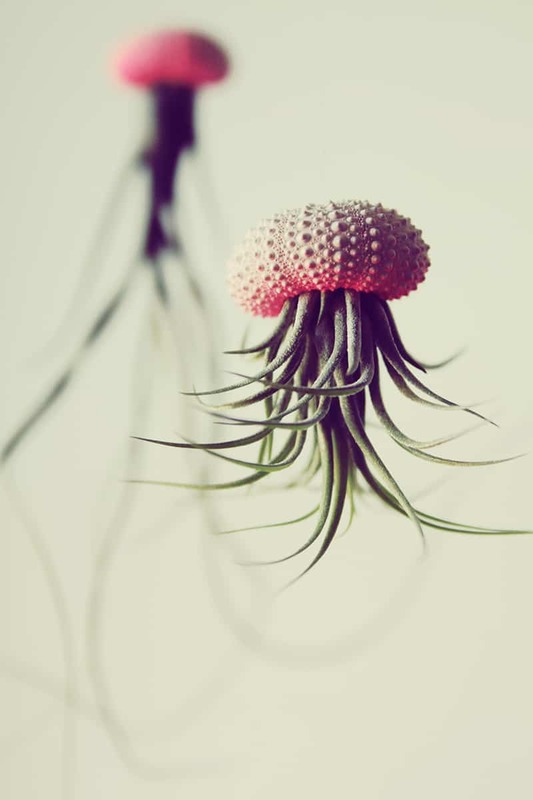 They are composed of 95 percent water. 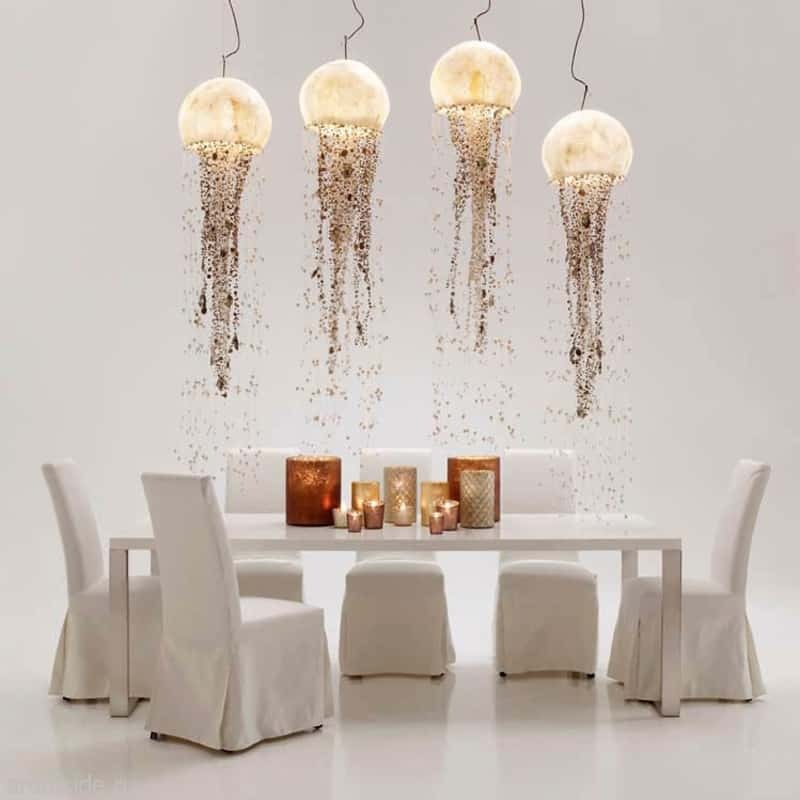 Unparalleled in diaphanous luminosity, they are also a natural inspiration for lighting elements.” Love that you can turn your home into an undersea fantasy. 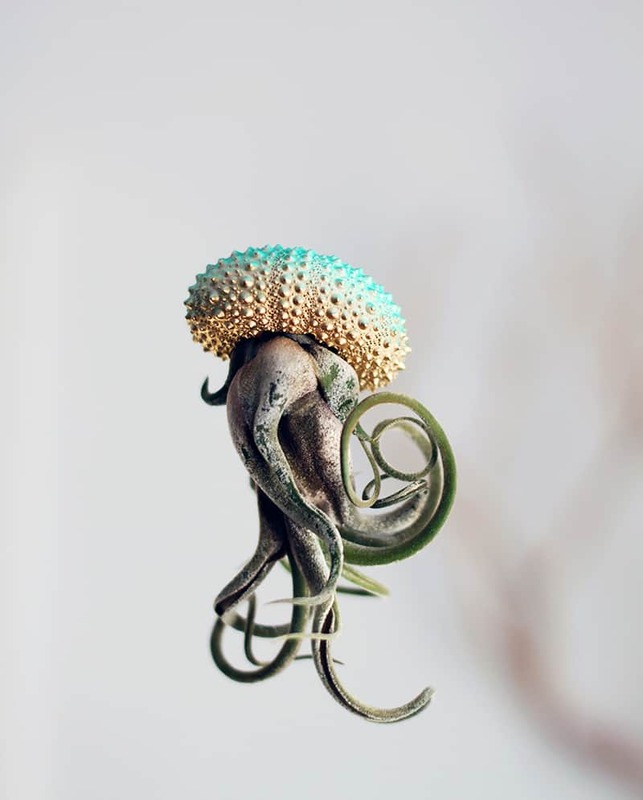 French sculptor Géraldine Gonzalez has some really beautiful medusas too, some of which involve crystals and LEDs and others of paper. 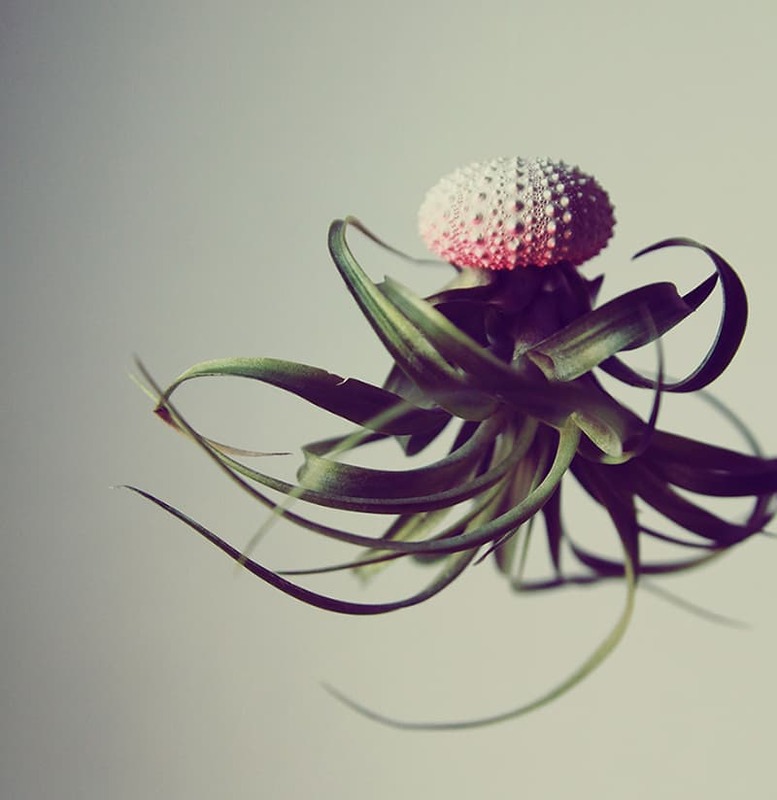 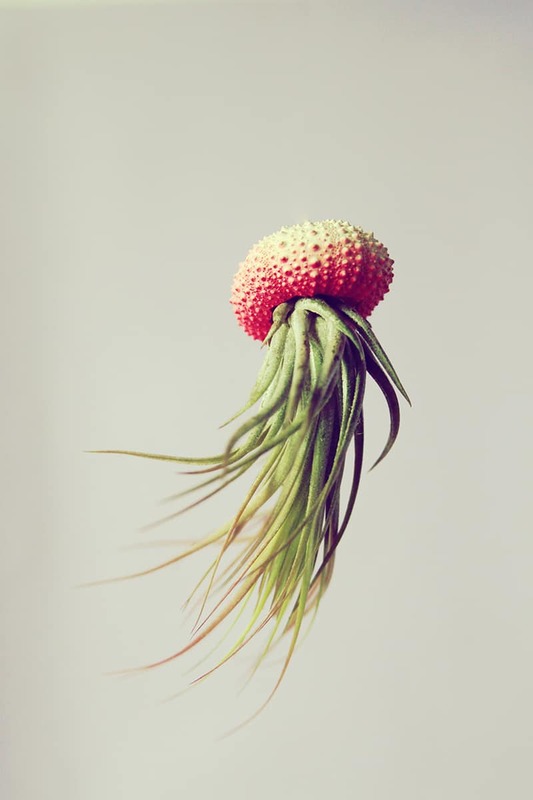 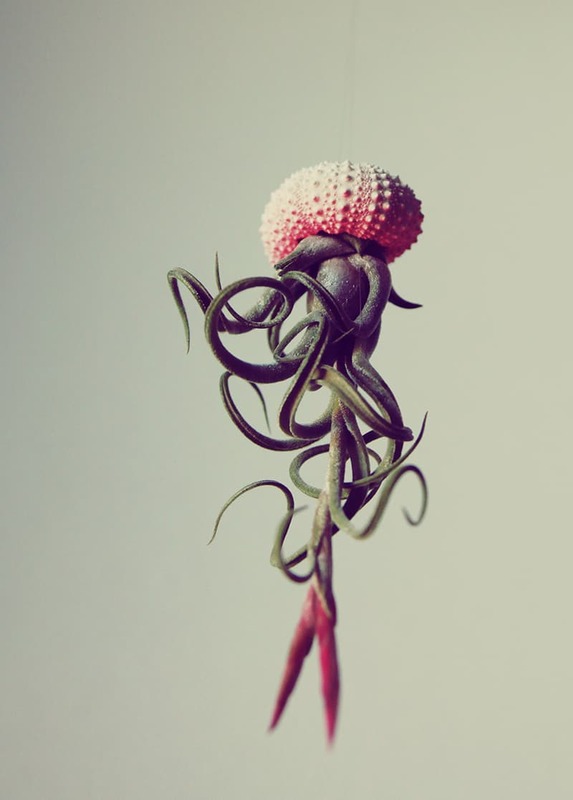 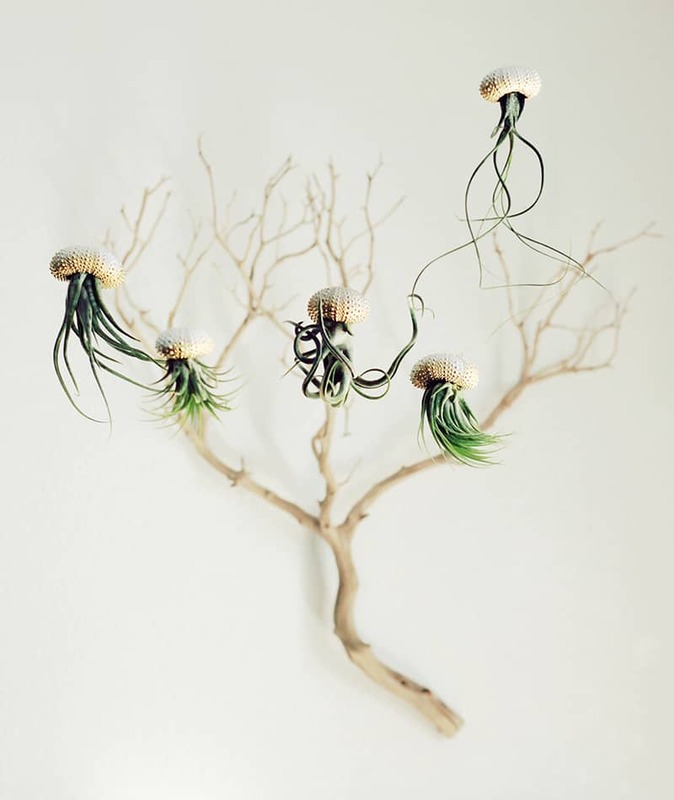 LA-based designer and art director Cathy Van Hoang had the novel idea of using sea urchin shells as upside down planters for air plants to create little aerial jellyfish. 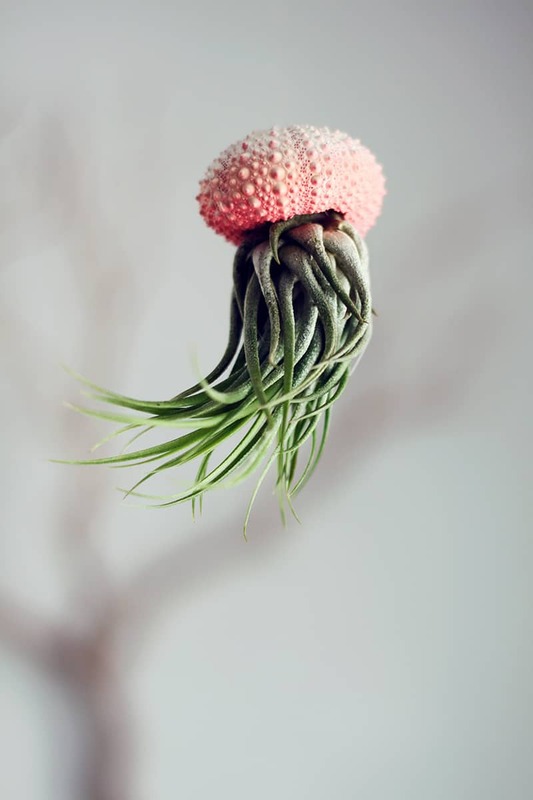 She sells them in her Etsy shop, PetitBeast.